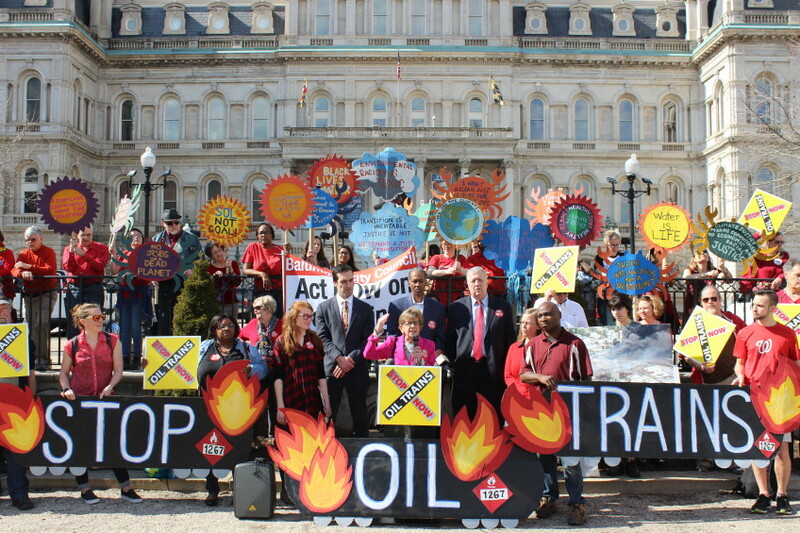 On an 80-degree February day, Baltimore City took a big step in the fight against dangerous crude oil trains and climate chaos. On Wednesday, the City Council’s Land Use & Transportation Committee voted 6-1 to advance the Crude Oil Terminal Prohibition, which would ban new crude oil terminals in Baltimore. Before the committee hearing, some of the bill’s eleven co-sponsors joined environmental, labor, and faith leaders dressed in red and holding hand-painted signs to rally in support of the bill in front of City Hall. 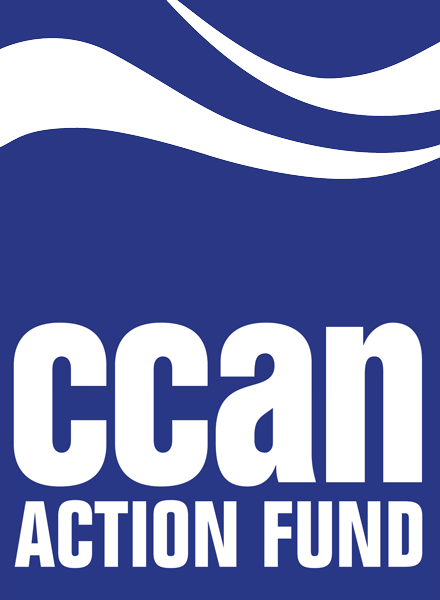 Speakers highlighted the Crude Oil Terminal Prohibition as a step toward healthier and safer communities, cleaner air and water, and a more stable climate. Watch the video of the rally here. The bill will change the city’s zoning code to prohibit the construction of new crude oil terminals, preventing an increase in the potential number of crude oil trains crisscrossing the city’s rail lines. This bill is a huge step on the path to protect the 165,000 Baltimoreans endangered by crude oil trains, which have derailed and caused fires, explosions, and toxic spills across North America since the fracking boom took off in 2008. Due to interstate commerce laws, states like Maryland cannot ban the transport of individual commodities on rail lines — no matter how dangerous they may be. But the local jurisdictions that host the terminals that these trains travel to do have regulatory power over land use. Baltimore City already hosts two terminals with the ability to ship crude oil. When faced with a proposal by a Texas-based company to build a third in 2014, Baltimore residents rose up in opposition and ultimately stopped that plan from moving forward. We’ve seen that people-powered opposition to crude oil terminals is effective, and now is the time to ban new crude oil terminals in the city once and for all. As the only jurisdiction in Maryland with crude oil terminals, Baltimore can protect Marylanders up and down the state’s rail lines by passing the Crude Oil Terminal Prohibition. While the Trump administration rolls back even the most basic regulations on crude oil trains, we need to say no to any new terminals and prevent a surge in crude oil shipments under the pro-drilling federal government. Portland, OR and Vancouver, WA have set precedents in the past few years by using their zoning codes to ban new fossil fuel infrastructure. By passing this bill, Baltimore could be the first city on the East Coast to use this regulatory tool to fight back against extreme energy. The bill now moves to second reader in front of the full City Council on Monday, February 26th. To make sure this important legislation moves forward, please take two minutes to call your councilmember today! Find your councilmember here and ask them to vote FOR the Crude Oil Terminal Prohibition (Bill #17-0150).